This beautiful New York penthouse, called "PH New York", is located on 459 West 18th Street, Meatpacking District, Manhattan, New York. 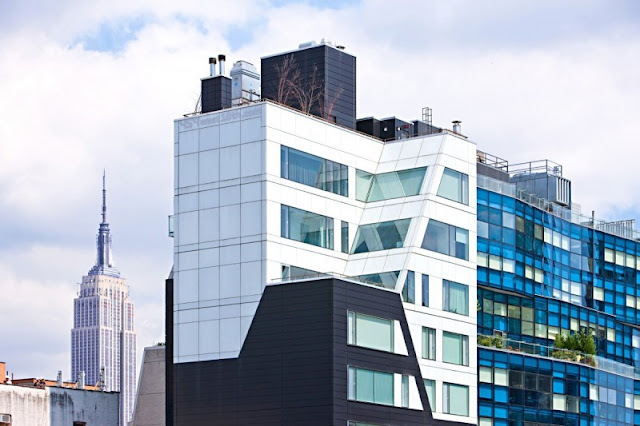 Designed by Austria-based Studio Innocad, this rooftop apartment is mixture of European design and New York lifestyle. 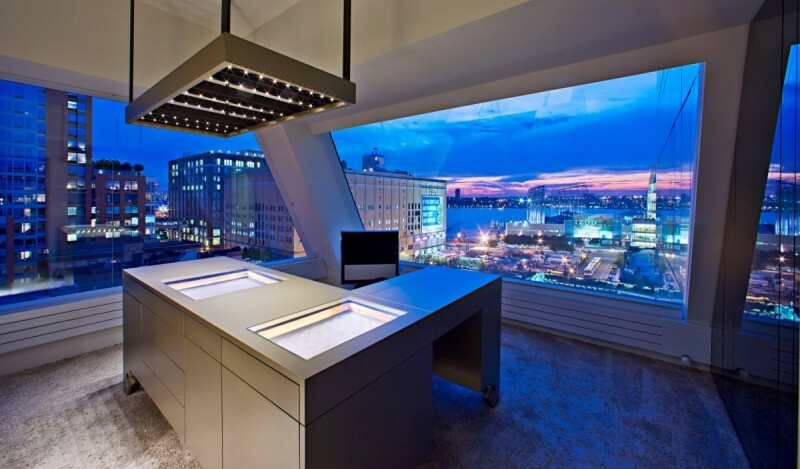 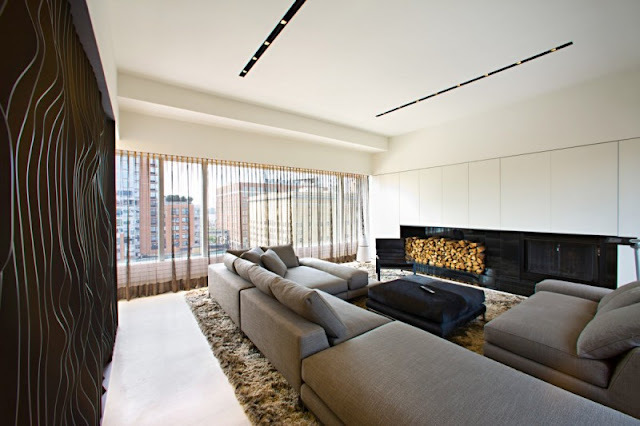 Interiors of this penthouse were completed in 2011. 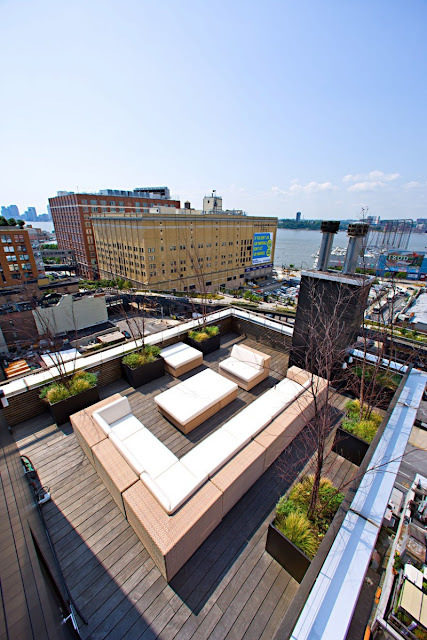 "Situated between the Meatpacking Districts at the borders of Highline Park the rooftop apartment was remodelled to meet the needs of its new inhabitants. 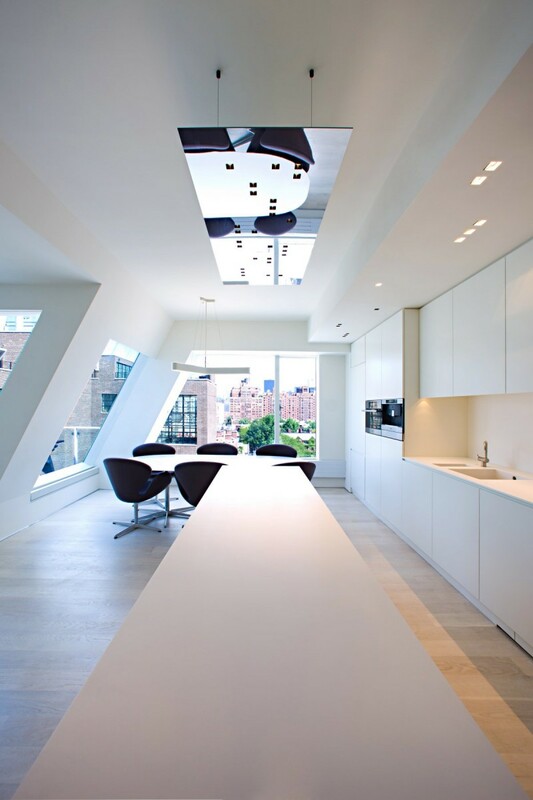 Innocad Architecture changed it functionally and enhanced the design by mixing European design and New York lifestyle and thus creating a fresh atmophere. 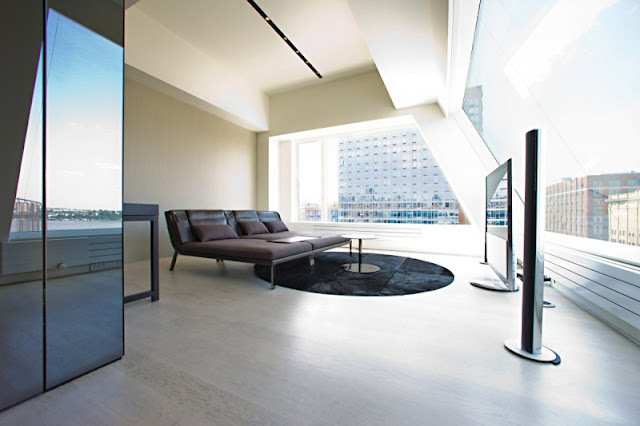 Materials and choice of colours represent both high quality standards and relaxed urbanity. 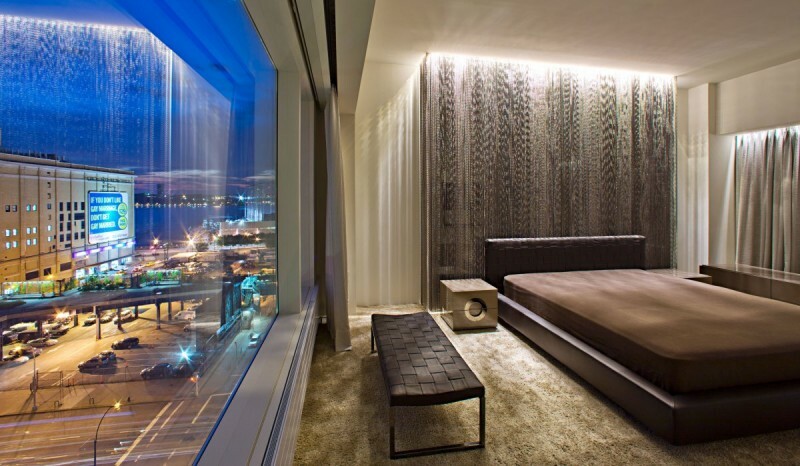 Each room mirrors an immediate visual reference to the fascinating land and roofscape of New York City. The Heart of the apartment, a Marilyn Relief, defines the residential area. 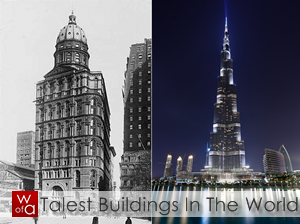 It is a functional and artistic attribute and also a tribute to this extraordinary city."